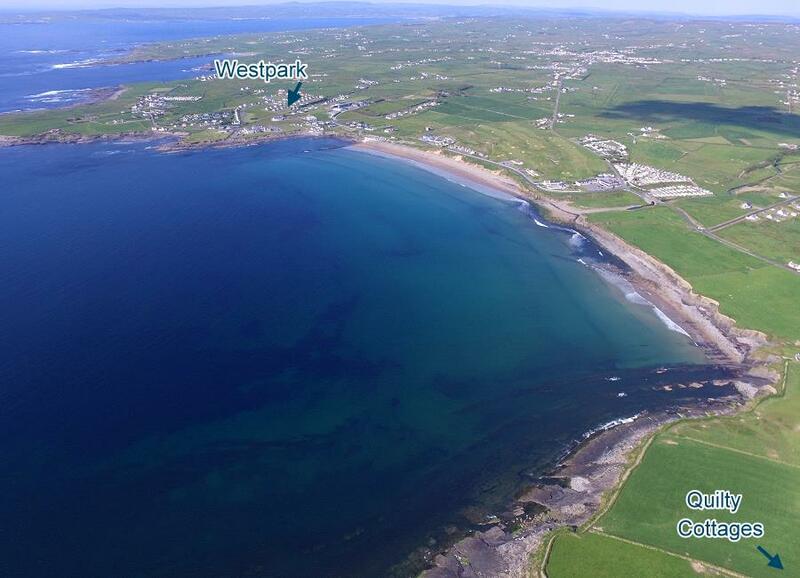 Doonbeg & Lahinch Golf Courses: 15 mins. Shops, pubs, restaurants 3-5 mins. 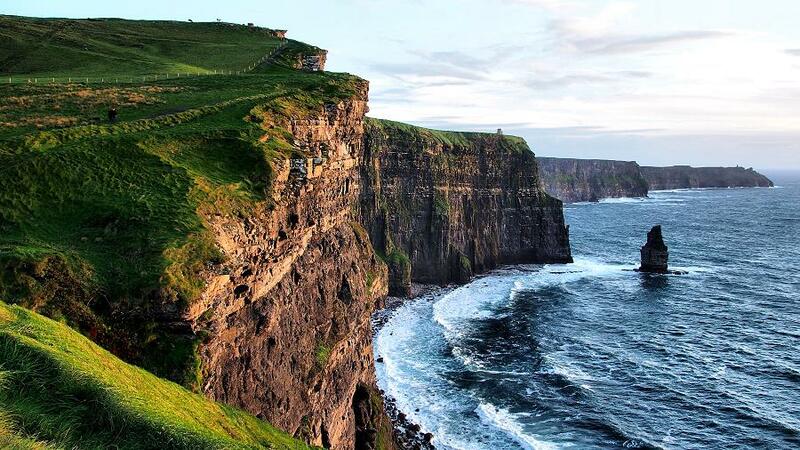 Cliffs of Moher/Burren 30-45 mins. Quilty Holiday Cottages are located halfway between Spanish Point and Quilty, close to Spanish Point Beach. 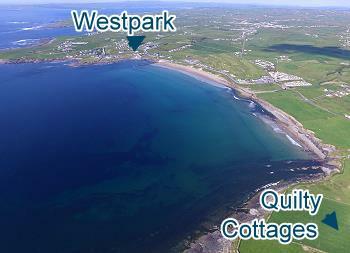 Westpark Holiday Homes are located in Spanish point itself, just 400 meters from Spanish Point Beach. 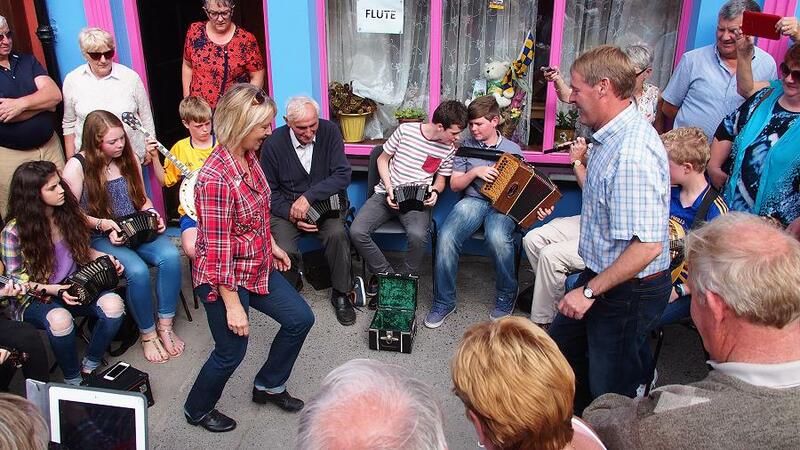 The town of Miltown Malbay, just 5 minutes away, is not only well known for the annual Willie Clancy Summer School, but also offers numerous pubs and shops. 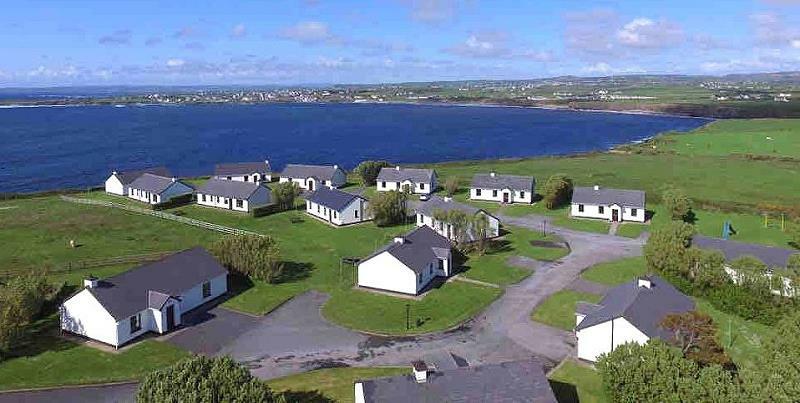 Renowned restaurants, hotels and pubs are also nearby.